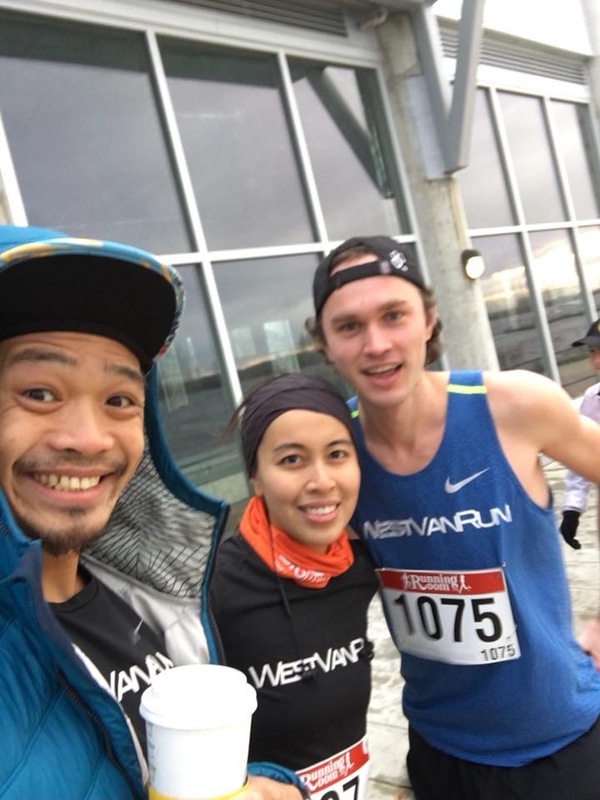 Disclaimer: I received a complimentary entry to the Steveston Icebreaker 8k via the West Van Run team; however, it does not influence this review. All opinions are my own. There aren’t many 8k distance road races locally. My last 8k road race was the Modo 8k a few years ago, which doesn’t exist anymore. 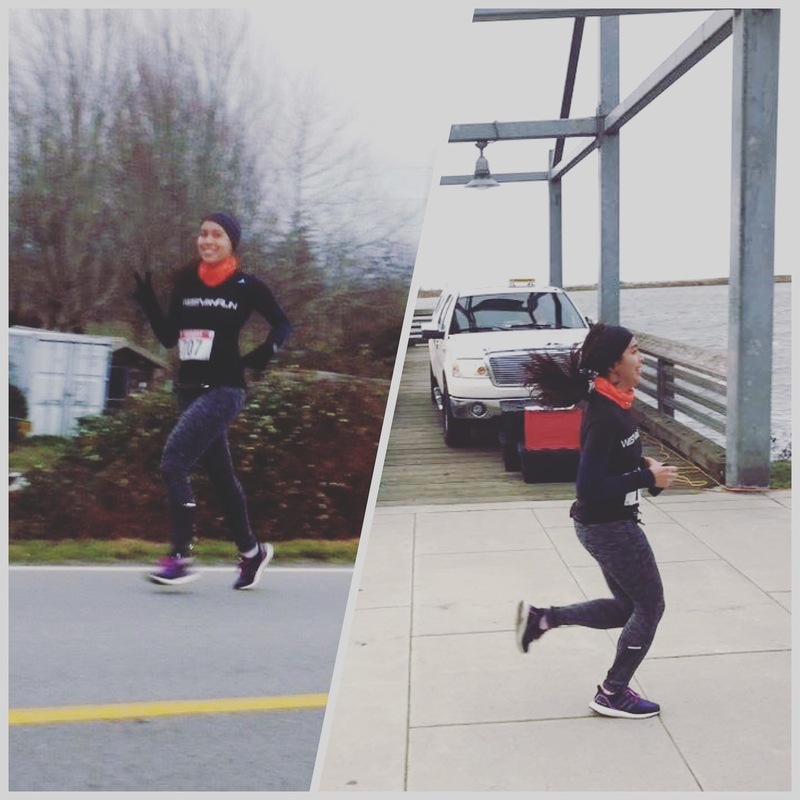 When given the opportunity to run the Steveston Icebreaker, I said yes immediately. I knew it had a great reputation (flat, fast, and great post-race food) so I had to see what it was all about. It was also popular among my running friends so that made it even more fun. 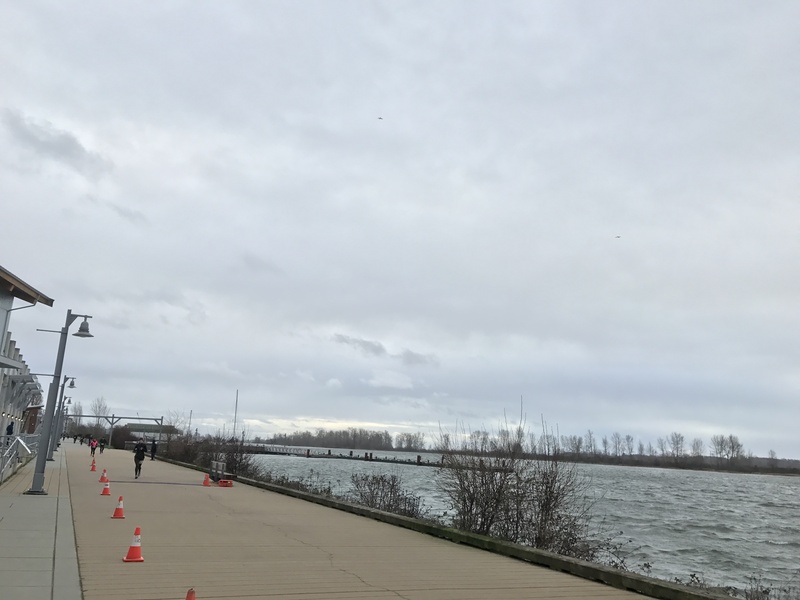 The Steveston Icebreaker 8k is put on by the Kajaks Track and Field Club and this year it was also the BC Athletics 8k Championships. 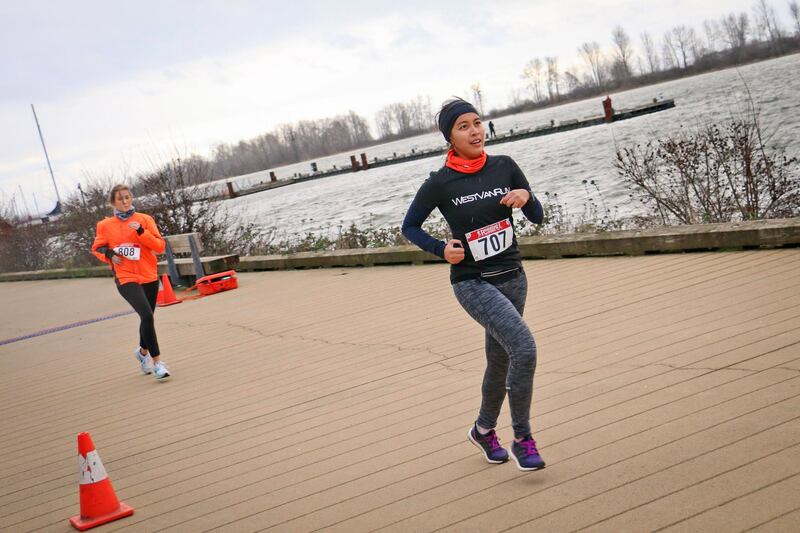 It is also a part of the Lifestages Lower Mainland Road Race Series and the BC Super Series. It is an out and back course, starting and finishing at Imperial Landing. You run 4 km east along the dyke and then back the same way, a very flat and fast course. If you’ve been to Richmond, you know there are no hills. 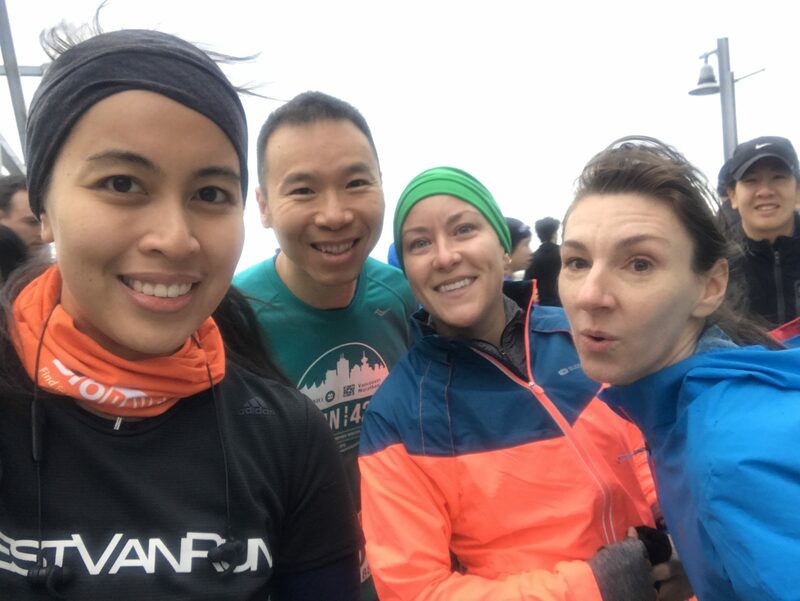 A short walk from the start line is the Steveston Community Centre where registration, complimentary gear check, and the post-race party and awards are held. Package pickup was at the Running Room on West 4th. 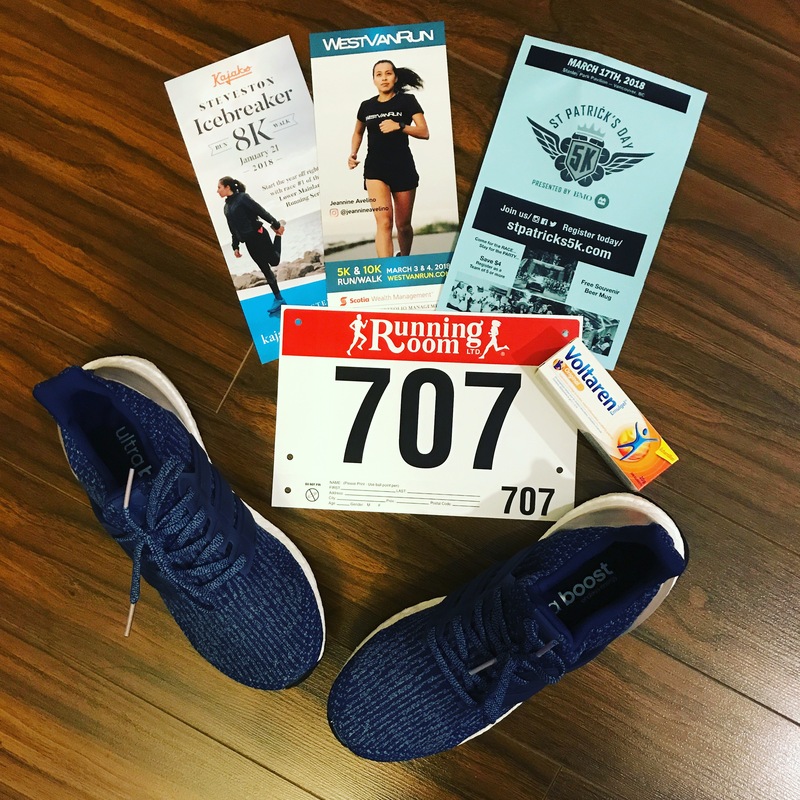 The best perk was the 25% discount at Running Room given to all race participants. Not only did I leave with my bib and free Voltaren, I also bought new Adidas Ultra Boosts. These shoes never go on sale so the 25% off was a big help. I also saw a familiar face in my bag 😛 This was also the first race I was able to try on my BibBoards (check out my review here). Forget the name icebreaker, it should be called WINDbreaker instead. The big story of the day was the wind. Everyone experienced massive headwind in the first half. Someone said it reached 70 km/h, which explains why at some point, I was almost running in place. 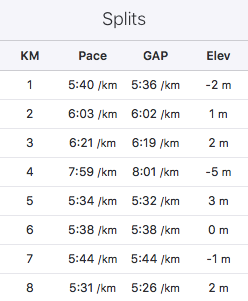 Up until that point, I thought I was running a strong pace. I walked most of the stretch between the 3rd and 4th km because I felt like I was using more energy for nothing. I decided to save it for the second half, especially with the very strong tailwind. Negative split, thanks to the wind! After the race we hit the food table. There were sandwiches, pizza and soup or stew but I made a beeline for the Krispy Kreme donuts. It’s been a while since I had one and that’s what I was craving that day. Bradley and I love our donuts. 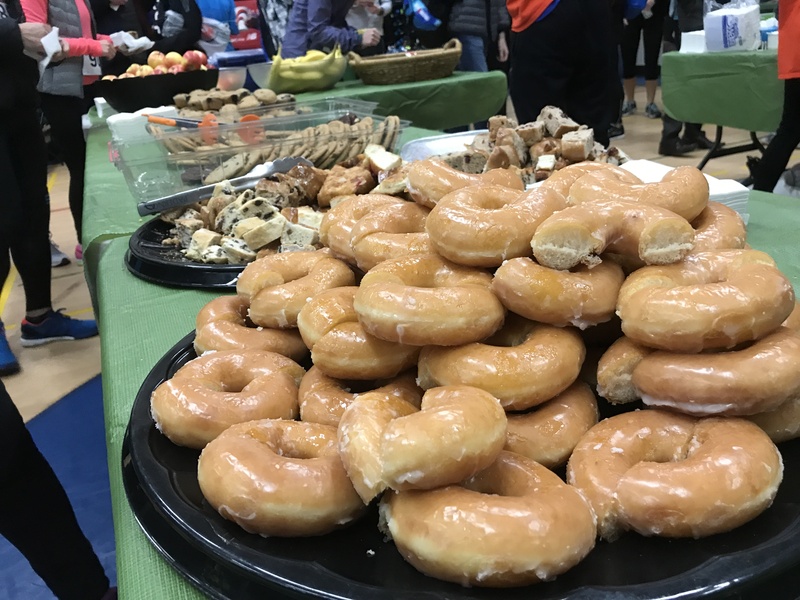 Organization – No complaints here, timely emails were sent out, package pickup was a breeze, complimentary gear check and having the community centre there was a huge help. We had free parking and shelter from the cold. Course – It’s out and back and flat. You go through some residential areas, small commercial areas, and along the water until #3 Road and then you head back. Very flat at only 28 m of elevation. 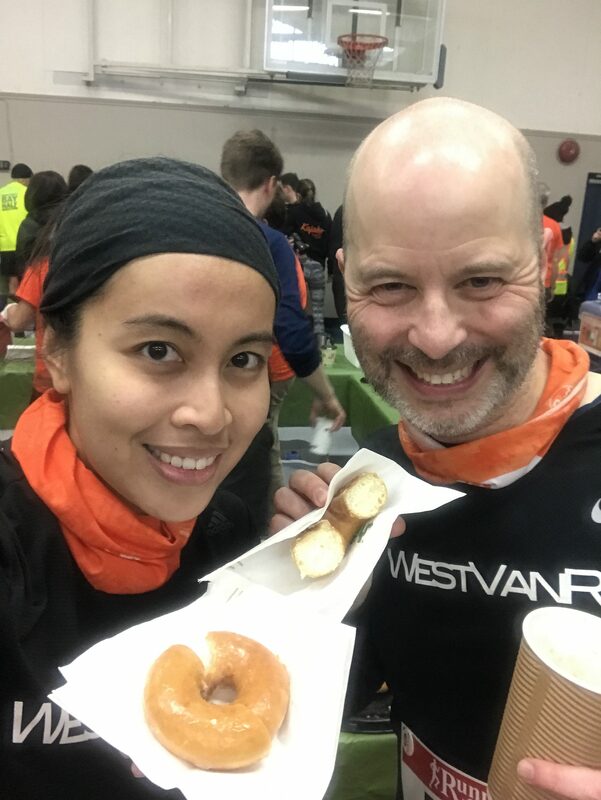 Swag – We didn’t get medals but we did get a 25% discount at Running Room plus a pretty good post-race food spread. I was very happy with those. Would I Do it Again? – Yes, I’m very curious to see how I’d do without the wind storm. It’s also a great local race that attracts a good mix of serious runners and leisure runners. Have you done the Icebreaker? Let me know in the comments below if you have or if you’d want to race this in the future.